Betsy has 39 years of Large Event Planning, Event Production & Finance Management as well as 40+ Years of Sales Experience. Kelly holds her Bachelor's in Home Furnishings Merchandising and a Master's in E-Commerce/Digital Retailing. This unique combination of education, experience and skill set ensures this teams ability to place value on your belongings, properly market your sale, and ultimately conduct a highly successful sale where you realize TOP DOLLAR! Our commitment to our clients starts with our first meeting. We too have gone through personal loss and know that it can be difficult to make decisions at these times. We will assist you in making decisions that work best for you. In the event that you are downsizing, we are able to assist you with this transition as well. Whether the need is due to a cross country move, downsizing due to retirement, or the untimely event of the passing of a family member; we can help with any transition. Each family's need for a sale is unique, and we are experts at tailoring our services to fit your family's specific needs. We have conducted large sales open to the public, private invitation only sales, and worked with family members who are out of state or even out of the country. We have a proven track record in selling a broad range of items including, but not limited to: Fine Art, Antiques, Vintage and Contemporary Furnishings, Crystal, Fine China, Silver and Objects of Vertu, Fine Jewelry, Collectibles, Large Appliances, Tools, Vehicles of Every Make and Model, and Much More. In addition, we are able to draw from our extensive network of experts. We are accustom to working with realtors and are happy to hand out flyers on sale days. We are known for having literally hundreds of customers through our sales, which can be a wonderful opportunity to sell your home. We have specific forms to collect information from potential home buyers, which can ultimately aid in the sale of your home. We can take care of everything from staging, organizing, cleaning, advertising and conducting the sale. So you can just sit back and relax, and let Another’s Treasure handle it ALL for you! Addison, Argyle, Arlington, Carrollton, Colleyville, Coppell, Copper Canyon, Corinth, Dallas, Denton, Double Oak, Farmers Branch, Flower Mound, Frisco, Ft Worth, Grapevine, Hickory Creek, Highland Park, Highland Village, Hurst, Justin, Keller, Lake Dallas, Lake Highlands, Lantana, Lewisville, Little Elm, McKinney, Murphy, Northlake, Park Cities, Plano, Preston Hollow, Richardson, Roanoke, Rockwall, Rowlett, Southlake, The Colony, University Park and Surrounding Areas. Another's Treasure came in and put our minds at ease and handled the entire process, from start to finish, in a highly professional and personal way. We could not have had a better experience. Many, many thanks, for a tough job, well done. David W./Charles T. - University Park, TX. 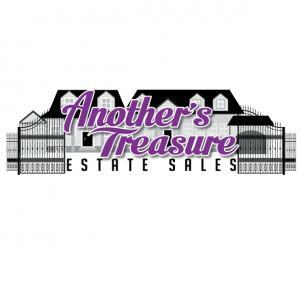 I loved working with Betsy and Kelly from Another's Treasure on my estate sale. When I first contacted them, I told them I had a short time frame and needed everything to happen on a specific time line. They were very accommodating and worked alongside me throughout the packing process. I never felt any pressure on what I was taking or what I wanted to sale. As we reached the sale date, their marketing proved spot on. I was very impressed with the entire sale process and all the hard work and effort from the entire team. I found them to be professional and honest throughout the entire process. I strongly recommend this team! At a very tender time, the team at Another's Treasure were patient, understanding and caring. I have a great respect for their process. They conducted our sale with the utmost integrity and accountability. Their experience and in-depth knowledge brought us top value on each item. Facing a huge re-location, not only out of state; but also out of the country, I was frankly overwhelmed. I interviewed a few other estate sale companies, but none of them impressed me, until I met Betsy & Kelly of Another’s Treasure. From the moment we met, I found peace of mind at a very stressful time in my life. As I left the country, Betsy and I were in constant communication, she was so professional and just a real friend. Betsy had the sale while I was driving across the country with my movers. I trusted her implicitly, and she went beyond the call of duty! The financial transaction was also a little more complicated since I was out of the country, but Betsy was on top of everything, it was effortless for me. Another’s Treasure is the best at what they do, period! They are not only professional and can accommodate any timeline or situation; they are also compassionate and super-efficient. Thank you very much again Betsy and Kelly. You two are first class! Another's Treasure did a superb job of liquidating my Father's estate. They were very respectful of my dad's possessions and considerate of our feelings. They worked hard to correctly price, stage, advertise and then flawlessly conduct the sale. No detail was too small for them to attend to with the greatest of care. Diligent, ethical and professional: Simply the best possible experience and outcome for our family.